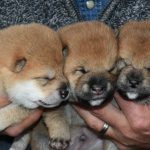 UC Davis has now analyzed 19 breeds, with many more on the way, resulting in not only detailed breed reports but powerful tools for conscientious breeders looking to preserve their breeds for the future. Four peer reviewed papers have also been published from the ground breaking canine diversity test developed by Dr. Niels Pedersen, PhD DVM. 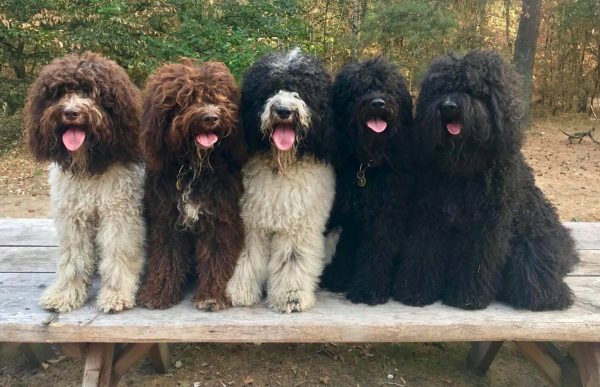 The Barbet breed was enrolled earlier this year and we have been delighted to be working with breeders worldwide as they have enrolled their dogs at UC Davis and with us here at BetterBred. This week some initial results have been posted! What has UC Davis discovered thus far about the Barbet? DLA – Dog Leukocyte Antigen – the dog’s immune system! One of the most interesting aspects of looking at DLA haplotypes of a breed is to see what breeds share the same haplotypes with them. 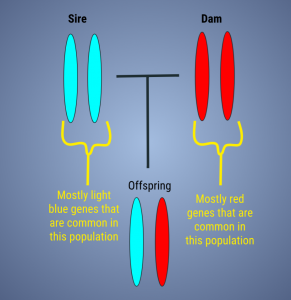 This helps inform upon shared origins among breeds. So what DLA haplotypes have been identified and what breeds share them with Barbet? First of all, there have been 10 Class 1 and 9 Class 2 haplotypes identified in the Barbet population. Considering this is yet a small sample size of 33 Barbet across the world, this is a good amount of genetic diversity in the DLA, or immune system, of the Barbet. These initial results are of course just preliminary and we will learn more as more Barbet are tested. 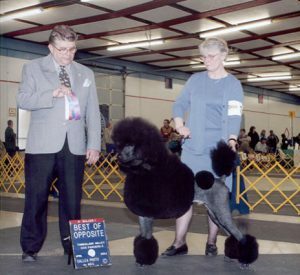 Several of the identified DLA haplotypes are shared with Standard Poodles and the other Poodle varieties. These include Class 1 haplotypes 1001, 1002, 1003, 1020, 1030, 1033, and 1035 and Class 2 haplotypes 2001, 2003, 2009, and 2023. 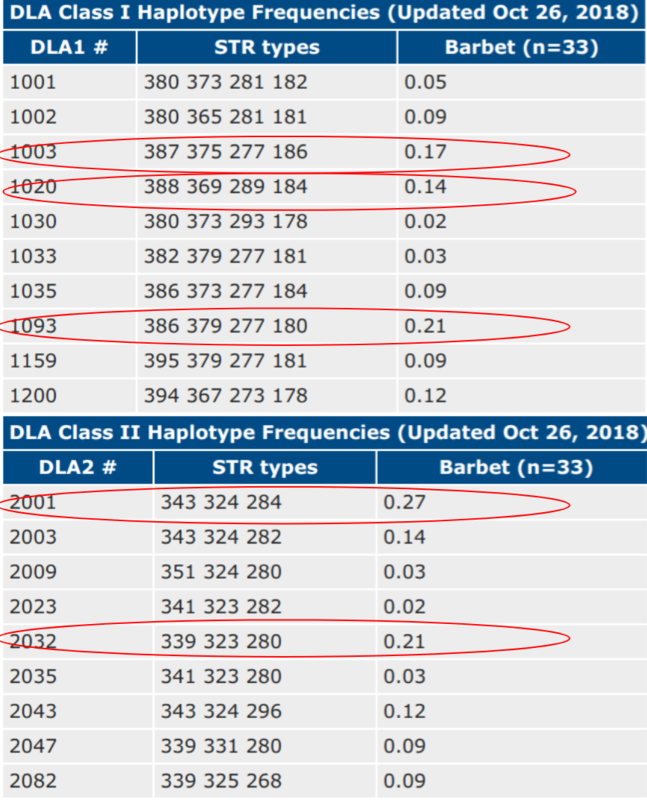 The Class 2 haplotype 2001 paired with one of the following class 1 haplotypes 1001, 1002 or 1003 is the most common DLA haplotype in the Barbet population thus far tested. 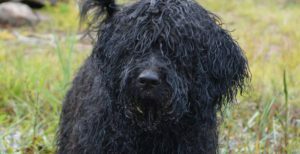 Other breeds sharing DLA with the Barbet include Labrador Retriever, Golden Retriever, Doberman Pinscher, Havanese, Standard Poodle, Biewer, Yorkshire Terrier, Italian Greyhound, Magyar Agar, Shiloh Shepherds, Flat Coated Retriever, Black Russian Terrier, Giant Schnauzer, and Alaskan Klee Kai. Of course, this does not mean these breeds are closely related genetically to the Barbet. 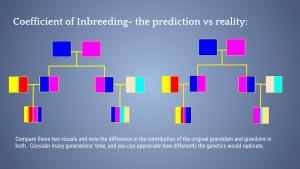 There are a few haplotypes that are found in many breeds, suggesting they are ancient. For instance, 1030/2023 is very common in many breeds, suggesting ancient origin. While 2001 is found in Poodles, it is also found in Golden Retrievers and Labrador Retrievers, but not Dobermans. This may indicate similar European Retriever ancestry among those breeds. 2001 is found in 14% of Golden Retriever DLA Class 2 haplotypes but only 1.6% of Miniature Poodles, which may be reflective of the working retriever breeding focus behind Standard Poodles, Golden Retrievers and Barbet. There is a single DLA haplotype found only in Barbets not yet identified in other breeds: Class 1 haplotype 1200. It seems a few DLA haplotypes are prominent in this tested population, while others are much less common. As more Barbet are tested, it will be interesting to see whether this trend continues, or if we will find them evenly distributed. With only 33 sampled thus far, Barbet have a lot of DLA haplotypes for such a small sample. We will of course be waiting on the breed analysis by UC Davis to get a full picture of the breed. We will learn much more as more samples are returned and ordered! 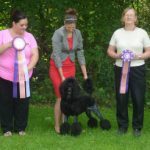 We look forward to finding out more information about the Barbet breed. Want to contribute to the breed profile and have this information for future breed management and litter planning? Order your test here. Or want to enroll your breed? Learn more here!